Particle Filter with Matlab Code - Student Dave's Tutorials! 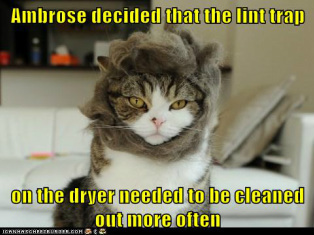 Particle Filters...The lint trap of the symbolic washing machine universe! Have a non linear system in less than 5 dimensions that you need to model? Tried and failed with the Kalman filter?! Have no fear, the Particle Filter is here! Using monte carlo simulations of sample data from the state and measure updates, you can approximate the the true behavior of even highly non-linear systems! See the matlab tutorials below! To help keep these tutorials coming, make a small donation. thank you for your support! %In this tutorial, The Frequentisian Ninja Clan has just run into the mysterious Quail. %dunno, freeing catapillars from evil monkey spells. %generated a highly non-linear flight model with strong illusions (i.e. weird measurements :P) and takes off! %to a highly nonlinear model. :)! T = 75; % duration the chase (i.e. number of iterations). N = 10; % The number of particles the system generates. The larger this is, the better your approximation, but the more computation you need. %show the distribution the particles around this initial value of x.
z_out = [x^2 / 20 + sqrt(x_R) * randn]; %the actual output vector for measurement values. x_out = [x]; %the actual output vector for measurement values. x_est_out = [x_est]; % the vector of particle filter estimates. %update model to make a new set of transitioned particles. %for each of these particles. %Generate the weights for each of these particles. %observation for a particle, GIVEN the actual observation. % Normalize to form a probability distribution (i.e. sum to 1). %(i.e. high probability of being correct given the observation z).